Namine was welcomed — I should say swarmed — by her dance mates on her first day back since breaking her leg. The way they welcomed her, I could tell she was missed. Namine has quite a bit of catching up to do with her jazz recital dance, and for her first day back, she certainly worked hard. A few days ago, she tried doing her dance up to what she’d learned, and she couldn’t recall all the moves. But in class, surrounded by friends and encouragement, she found that it all came back quickly enough. 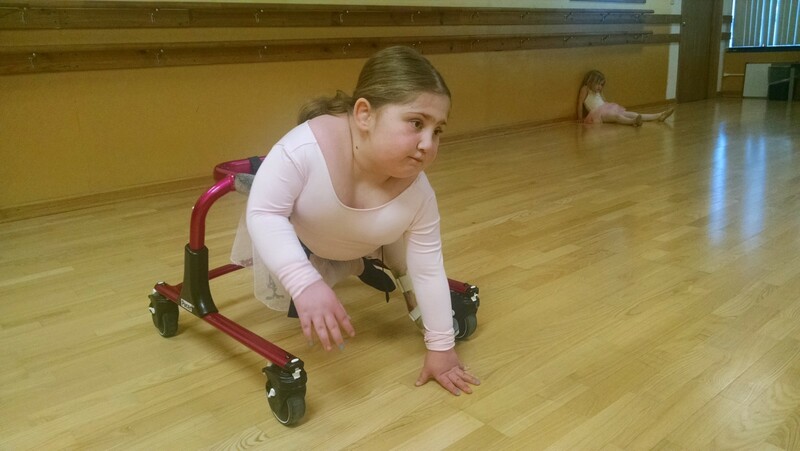 Near the very end of class, her broken leg was really starting to bother her. 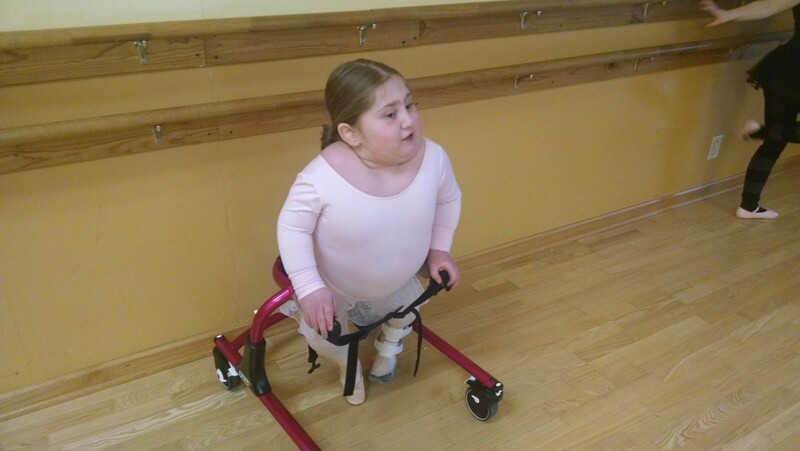 She asked if she could take a break and just practice the arm movements; the teacher said absolutely, yes, that was fine. I helped Namine unstrap the walker’s seat, and she climbed down. Even just doing the arm movements, I could see how much she loved being back.